Les jardins de Séricourt were the last gardens we visited on our trip to Normandy last year. I think we may have been suffering from garden burn-out by the time we got to this one, which may explain why I don't feel the urge to write a long and tedious ramble about it. It is in no way a criticism of the gardens, which were quite beautiful and certainly worthwhile. So instead I’ll just leave you with a photo journey through them. Very briefly, the gardens were designed by landscape architects Yves and Guillaume Gosse de Gorre, who used a series of rooms to divide the large grounds. The rooms are quite intimate in the center on the garden, while on the perimeter they open up and merge into the surrounding landscape of forest and meadow. Several of the central gardens were designed around the theme of war, with some interesting representations of it. A characteristic feature at Séricourt is the exquisite topiary and hedge work, which is used throughout the gardens to create its most memorable images. Rambling roses mark the entrance to the gardens. Interesting clipped shapes are dotted throughout, surprising the visitor in unexpected places. The first of the war-themed gardens: a field of yew soldiers on guard. 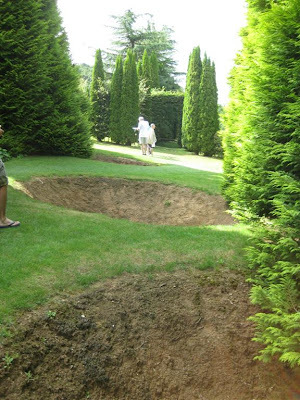 Bomb craters eerily similar to the real ones we had just seen on the beaches of Normandy. Figures scattered in the field - soldiers, villagers? An outer garden merges with the field and forest beyond. 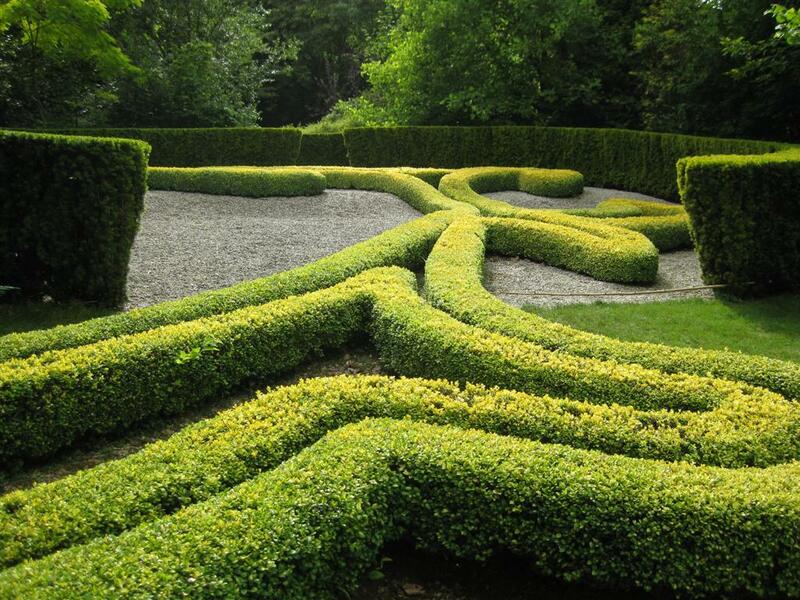 Séricourt's trademark topiary and clipped hedges - the whole garden is an inspiration on how to use green sculptures.